To assist DoD military and civilian personnel in balancing the competing demands of the accomplishment of the DoD mission and family life by managing and delivering a system of quality, available, and affordable programs and services for eligible children and youth birth through 18 years of age. Family Child Care Providers are certified through the Mission Support Group Commander and are visited unannounced on a monthly basis. All individuals must complete 24 hours of mandatory training, complete Air Force Training Modules and have through background checks on all household members ages 12 years and up. The Family Child Care office provides training and information on certified in home child care providers, as well as referral assistance for parents seeking quality child care. 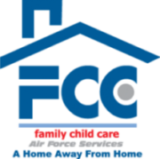 AFI 34-144, Child and Youth Programs prohibits providing child care consistently in the home for more than 10 hours a week (total care) without FCC Certification. Please call the Family Child Care office for more information.